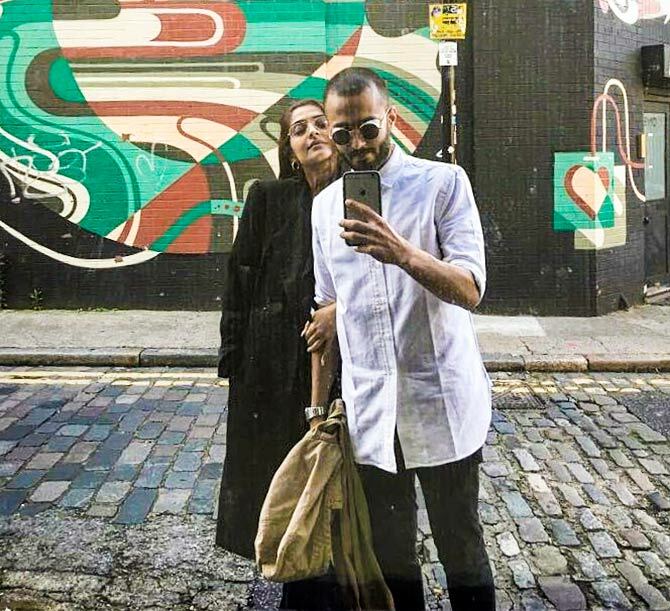 Rediff.com » Getahead » #CoupleGoals: Sonam-Anand's love story is just perfect! 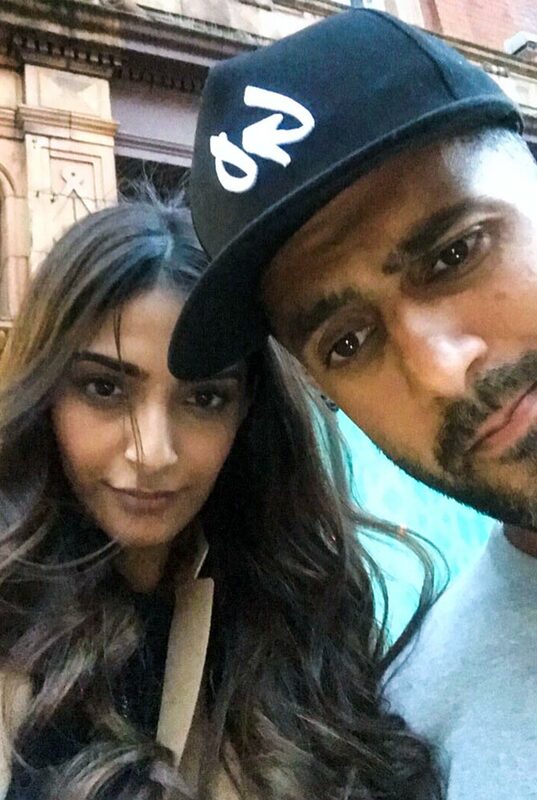 #CoupleGoals: Sonam-Anand's love story is just perfect! Presenting five things we learned from this couple! 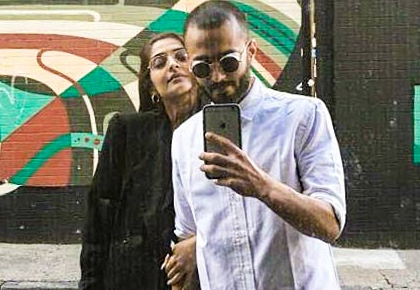 Sonam Kapoor wed Delhi-based businessman Anand Ahuja on May 8 in Mumbai. Initially when they started seeing each other they kept their relationship under wraps. The past few months, we saw them sharing their candid photos and writing cute messages for each other. At a promotional event for Veere Di Wedding, the actor revealed the reason behind the secrecy of their relationship: 'Social media is in my control. I am not going to disrespect this person and be like that he doesn't exist in my life. At the same time, I am not going to disrespect that person by speaking about him and other people interpreting in a different way. 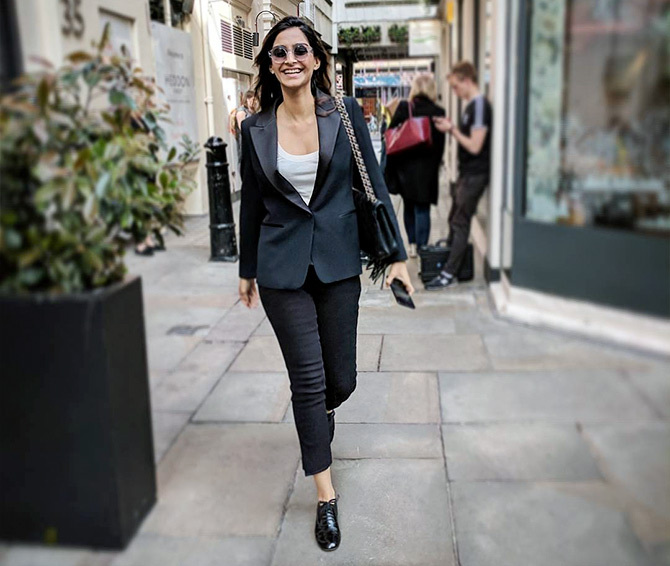 So I will not talk about it or hide it,' Sonam said. The duo clearly emphasise the importance of privacy and mutual respect in a relationship. 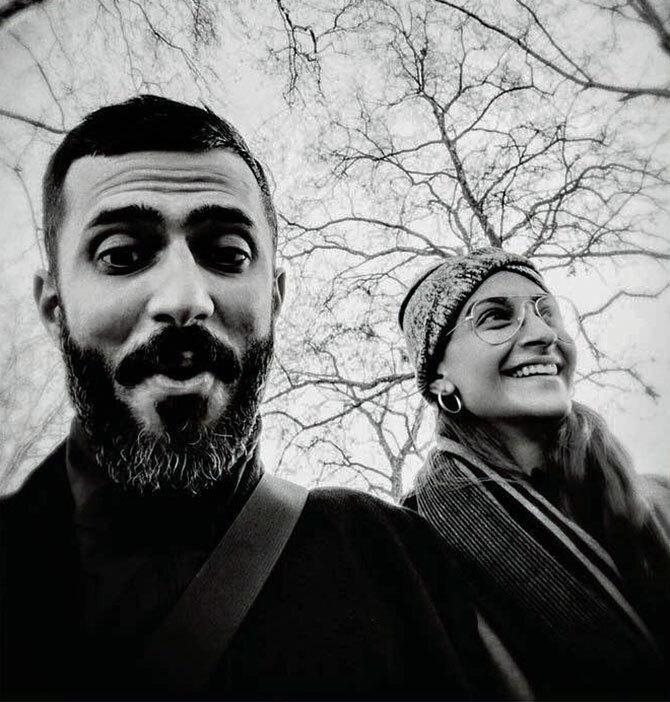 While they do make a cute couple, their adorable pics on Instagram reveal why the two are just made for each other. A little PDA won't kill. It's okay to be silly around your better half! They indulge in healthy competitions. 'How you gonna post MY pic before me @sonamkapoor? Well, we'll see who gets more likes, ok?' he captioned this pic. Anand clearly can't stop taking pics of Sonam! When she is around, he always uses the hashtag #EverydayPhenomenal. 'The meaning of life is to find your gift. The purpose of life is to give it away -- Pablo Picasso. To @sonamkapoor, the purest exemplification of selflessness, contribution, thoughtfulness, love and care,' he wrote on Instagram. Meet Mr and Mrs Ahuja! Why Sonam Kapoor is the coolest bride ever!